The 15 Best Picnic Spots in Iowa! Whether you choose a picnic bench or throw down a blanket in an open green space, there are numerous spots in the state of Iowa to have yourself a nice little picnic. Overlooking the Mississippi River or amongst a sculpture garden, whatever your taste for picnic scenery might be, Iowa has you covered with a wide range of aesthetically-pleasing spots to put down a blanket. To get you started on your picnic planning, check out these 15 best spots for a picnic in Iowa. Located smack dab in the middle of Downtown Des Moines, the John and Mary Pappajohn Sculpture Park provides the perfect backdrop for a lovely picnic. Whether you choose a bench of spread out a blanket, this 4.4-acre park has something to see in every corner, including of course over 20 sculptures that easily catch your eye. Having already spawned a romantic novel of the same name, the Bridges of Madison County just outside of Winterset provides the ideal spot to snack on some lunch while taking in the scenic atmosphere. Quiet and cozy, the Bridges of Madison County only adds to the ambiance of rural Iowa, making for a perfect picnic spot to get away from it all. Designated picnic areas are available at Ledges State Park, one of Iowa’s most popular state parks, but visitors can find plenty of other areas to throw a blanket down and enjoy the unique features found in this natural space. 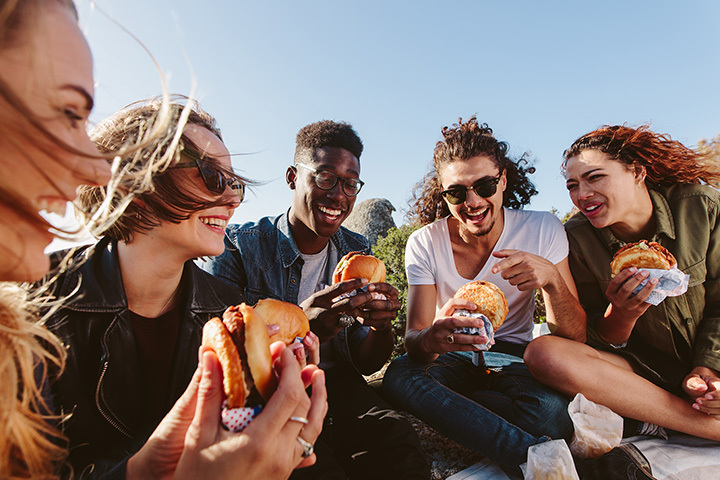 Whether you want to go hiking or find some fun on the flowing Des Moines river after your picnic, your options are endless at Ledges State Park, so be sure to pack a big lunch. Hickory Hill Park is a local favorite in the Iowa City area, and on any day of the week during anytime of the year you can find Iowa City denizens exploring the trails. Located on the north side of the city, Hickory Hill does have covered shelters to dine under, but when the weather is nice, or the fall colors are coming to life, it’s always pleasant to sit down on the manicured grass and enjoy your picnic. McFarland Park, located just northeast of the Iowa State University campus, not only has all the amenities you’d want for an excellent picnic spot, but has all the resources needed for a full weekend outdoors. Barbeque pits, camping spots, plenty of hiking and biking trails and a fully stocked fishing lake, the real question isn’t where to picnic at McFarland Park, but what to do after you’re done eating. Located between the Maytag Student Center and Jordan Hall on the Central College campus in Pella, the Central College Pond is a perfect spot for picnicking. With a healthy dose of collegiate atmosphere all around, the Central College Pond isn’t an exclusive place just for students, though it has been a part of the Central College history since its inception, and you can be a part of the history or simply enjoy a light snack shore side on your next visit to Pella. For one of the best picnics with a view, head on over to Pikes Peak State Park and head up to the Point Ann overlook where there is not only a rustic stone open structure to eat under, but also some of the most beautiful views of the Mississippi Valley you’ll find in the entire region. With over 11 miles of hiking trails, it’s easy to build up an appetite at Pikes Peak State Park, but with enough spots to stop and enjoy the views (and some lunch), all your hungers will be satisfied at this popular Iowa State Park. Featuring a stunning tristate view of Iowa, Wisconsin and Illinois, punctuated by the Mighty Mississippi River, Eagle Point Park is one sight to see that should be required in the state of Iowa. With manicured lawns, plenty of picnic benches and of course that view that can’t be beat, even if you are not in the area it’s worth traveling to Eagle Point Park for your next picnic outing. The town of Bettendorf has a lot of city parks perfect for picnicking, but Middle Park is worth mentioning because of all the stuff to do after you’re done eating. With a popular disc golf course within the park, plus a catch and release fishing lagoon, and not to mention a scenic Centennial Garden, what really draws people to Middle Park is the Splash Landing City Pool. Just make sure to wait thirty minutes after you eat before diving in. The scenic 1,052 acres that comprise F.W. Kent Park contains some of the most scenic Iowa recreation access found anywhere else in the state. With a 27-acre lake at the heart of it, plus over nine miles of maintained hiking trails, including of course both playgrounds and covered shelters perfect for family picnics, with only one trip to F.W. Kent Park will you realize that this is one county park worth revisiting. Almost anywhere around Lake Okoboji makes for a scenic picnic spot, and Speier Park is a prime example of that. Featuring picnic shelters and tennis courts, what clearly draws the afternoon attention to Speier Park is the lakeshore location and access to water activities. Whether you stick to the land or put on a personal flotation device to go for a swim, Speier Park is an excellent place to live out a Lake Okoboji adventure. With over eight picnic shelters to choose from, chances are you’ll find a perfect spot to picnic when visiting Phelps Park in Decorah. With so many scenic options to be found throughout the Decorah area, Phelps Park is always on top of the list. The 56 acres to explore includes hiking trails, scenic overlooks and playground equipment, everything you need to build up a healthy appetite for a picnic at the park. There are no picnic shelters at the South Ravine Park, and it certainly isn’t the most popular spot on this list, but South Ravine Park almost relishes in what it doesn’t have. If you are looking for a quiet place to enjoy an afternoon picnic, away from the sights and sounds of everyday life, then the short trip it takes you to get away from it all at South Ravine Park in Sioux City is exactly what you are looking for. Named after Meriwether Lewis and Captain William Clark, this impressive State Park sits at the shores of Blue Lake, and has ample room for all your picnicking needs. With over 30 acres dedicated towards picnic grounds including tables, charcoal grills and potable water, it’s not uncommon to see many families enjoying the amenities at Lewis and Clark State Park every weekend. While you are there and after you eat, it’s always recommended to check out the impressive keelboat display which is an exact replica of the famous barge that the Lewis and Clark expedition sailed down the river with. While Lelah Bradley Park in Southern Iowa is a great picnic location, including with it picnic tables, hiking trails and access to fishing waters, there is a lot more public spaces to check out in the Centerville/Rathbun area. Whether you stick with the sure bet of Lelah Bradley, or you venture further to Sharon Bluffs City Park or the much larger Honey Creek State Park and Resort, without any doubt you can find a great picnic spot in Southern Iowa.